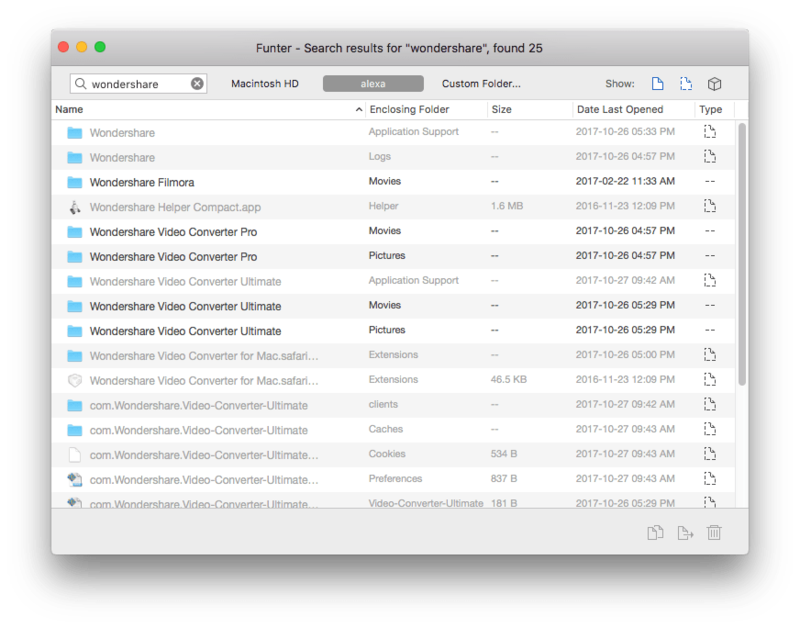 Like any other professional application for editing media files, Wondershare takes up a lot of disk space and RAM memory on your MacBook or iMac. As a result, after downloading several similar apps, you may face slow Mac performance. If you are one such user and want to uninstall Wondershare helper, follow this article. We will share with you a complete guide on how to remove Wondershare studio safely and completely, including the Wondershare browser plugin. Uninstall Wondershare using App Cleaner. You should know that just dragging and dropping apps to the Trash is not enough for their complete removal. You will have to find all the leftovers manually and remove them. And here is where to do that. 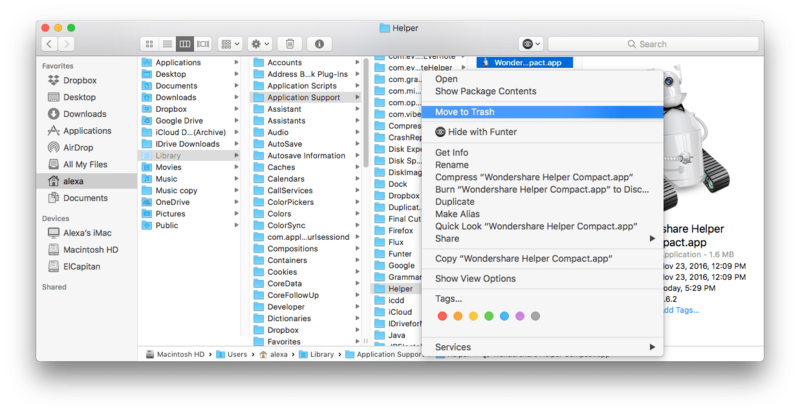 Go to the Finder → Application folder and move Wondershare to Trash. You should pay extra attention to the Wondershare Helper Compact. If you don’t remove it completely, you will still get annoying notifications even after the application’s removal. Unlike the subfolders mentioned above, there is still one more file in the Application Support → Helper. Actually, we highly recommend that you use a free software tool Funter, which will help you to find and remove absolutely any file, including hidden ones and files located in the packages. 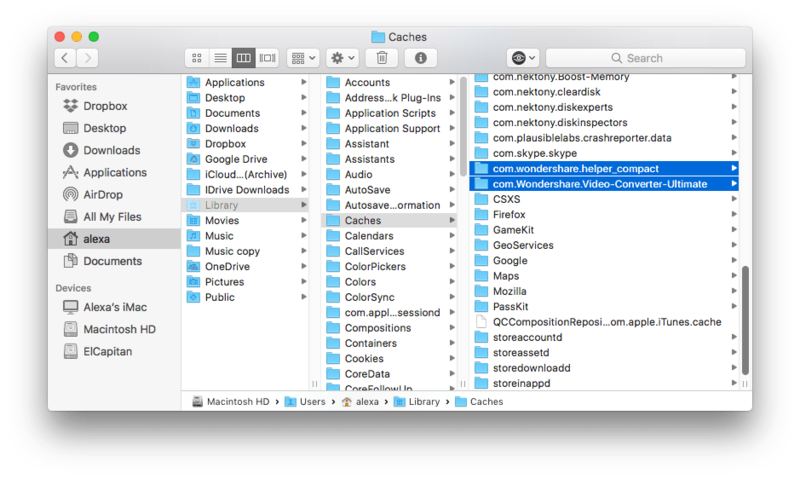 It will take you less than a minute to find all the support files of Wondershare. Just type wondershare in the search field and get the results. Select all its service files and click to remove them. It’s quite obvious that the manual way of uninstalling apps is not convenient and takes up too much time. However, the good news is that you can uninstall apps quickly and easily with a special removal utility App Cleaner & Uninstaller. 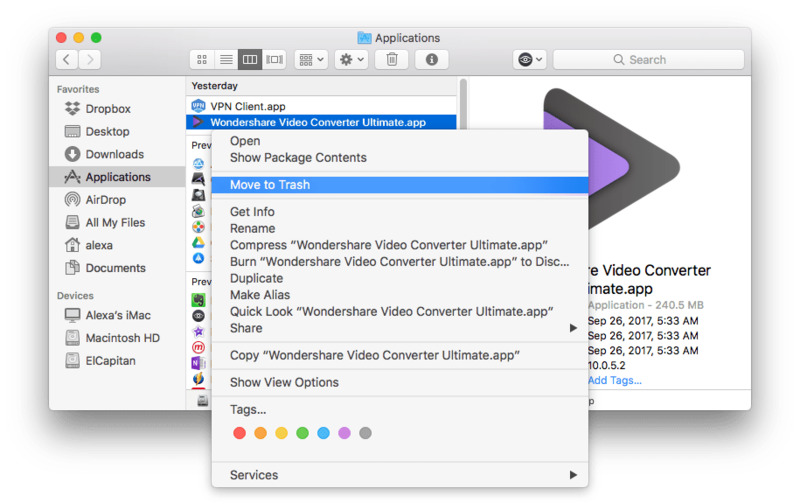 All you need to do is to launch the utility, select Wondershare from the list of scanned apps, and click the Remove button. 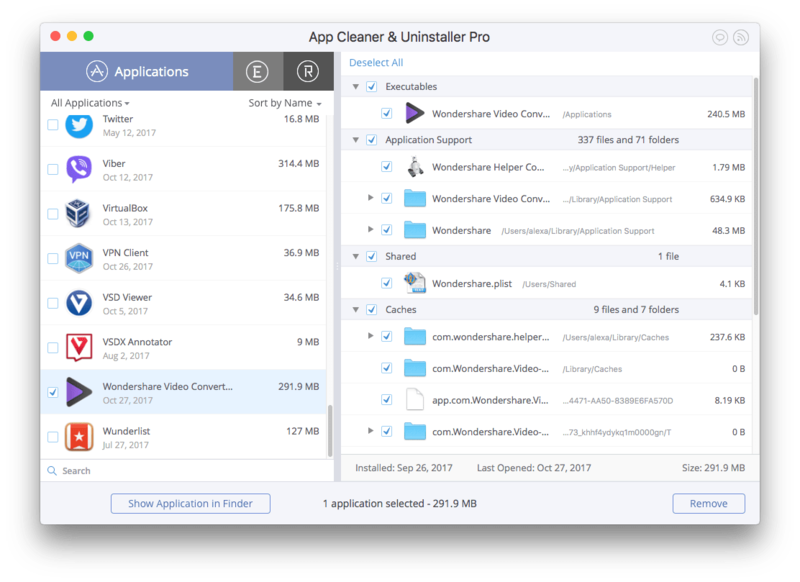 Besides the safe and complete removal of programs, App Cleaner & Uninstaller has some greater additional features, like finding the leftovers of previously deleted apps and operating extensions on Mac.